No insurance company is going to provide cheap workers’ compensation insurance to a practice with a bad loss history. Workers’ compensation insurance is a form of no-fault coverage developed specifically to provide medical and wage-replacement benefits to employees who are injured or become ill on the job. In addition, injured employees might be eligible for temporary or permanent disability, vocational rehabilitation or death benefits. In exchange, employees surrender their right to bring negligence claims against an employer for potentially large sums of money, including non-economic damages. Some states, like Georgia and Florida, require employers to maintain insurance if a certain number of people are employed or if specific types of activities are performed. Texas does not require most private business owners to carry workers’ compensation insurance, although private employers that contract with governmental entities must provide coverage and employers that opt out have notification and filing requirements. Ohio, North Dakota, Washington and Wyoming are monopolistic workers’ compensation states. Employers must buy insurance for all workers residing in these states through a state government-operated fund. Your insurance agent or broker can explain your state’s requirements. Contact information for each state’s workers’ compensation office is available at http://bit.ly/2ENRWOQ. Workers’ compensation insurance policies are most frequently obtained through a brokerage firm representing one or more insurance companies, a self-insured group or a government-operated fund. Employers may purchase policies that pay claims either on a first-dollar or deductible basis. Though some policies offer deductibles as low as $5,000, the majority are large deductible in nature — $100,000 or more. As one might expect, the higher the deductible, the lower the annual insurance premium. The state in which the practice and employees are located. Larger businesses with an excellent history might enjoy significant annual savings with a large deductible or self-insured group. Businesses with a poor loss history might be forced to self-insure a portion of their claims expenses through a small or large deductible policy. Regardless of the laws in your state and the size of your practice, you should strongly consider having some form of workers’ compensation insurance. Though premiums can be a significant expense, an insurance policy helps protect your business from costly litigation and settlement costs and ensures that injured employees receive necessary medical care and wage-replacement benefits. Because most practices purchase a first-dollar policy from an admitted carrier, I want to focus now on this type of coverage. 8831 — Veterinary. Employees who come in contact with animals even on a limited basis. That is, almost everyone, including receptionists. 8810 — Clerical. Employees with no exposure to animals. Examples include accountants, payroll clerks and bookkeepers who work outside the primary location that provides medical services. 2. Employer’s gross payroll. Premiums are calculated based on the rates filed with each state and are applied to every $100 of payroll. Carrier underwriting. Insurance companies can reward or penalize individual policyholders through several pricing methodologies. The most common are tiered pricing and schedule credit/debit utilization. Experience modification rating. This system, also known as x-mod, incentivizes employers to maintain safe working conditions. X-mod modifies an employer’s insurance premium according to the loss history. The x-mod for each business is set each year by a workers’ compensation insurance rating bureau. Some states have their own bureau while others utilize the National Council on Compensation Insurance. Smaller businesses, as determined by annual gross payroll, do not qualify for x-mod. Therefore, this instrument is not a factor in determining their annual workers’ compensation premium. A business’s x-mod calculation is based on the claims experience for the three-year period immediately before the expiring policy year. All employers are grouped according to their business operation and classification. The rating bureau utilizes collective claims data to determine the average amount of expected losses for each class code. Then, each business’s actual losses are compared to what is expected and is expressed as a percentage (x-mod). If your actual losses are the same as what is expected, your x-mod is 1.0, or 100 percent. Your x-mod is an integral component of your final premium calculation. The lower the x-mod, the better. As noted, a business’s final workers’ compensation premium is based on several factors, but for illustration purposes, a credit x-mod of 0.80, or 80 percent, entitles an employer to a 20 percent reduction on the final premium. Likewise, an employer with a debit x-mod of 1.20, or 120 percent, would incur a 20 percent premium increase. This is where the incentive to maintain safe working conditions comes into play. The secret to lowering your workers’ compensation insurance costs is not as simple as shopping for the best price quote every year. The phrase “closing the barn door after the horse is out” is applicable in this instance. No insurance company is going to provide cheap workers’ compensation insurance to a practice with a bad loss history. Reduce the frequency of claims. Reduce the cost or severity of each claim. Utilize the insurance carrier’s managed provider network when treating injuries. Take advantage of early return-to-work opportunities whenever possible. These objectives are accomplished by establishing a safe workplace focused on mitigation of work-related injuries. Focus on accountability and responsibility. Safety is everybody’s job. Foster an environment that values and rewards safety and safe work behavior. Not surprisingly, an inordinate percentage of work-related injuries involves employees on the job for less than six months. Most of the injuries are easily preventable if adequate training and supervision are done. Safety presentations. 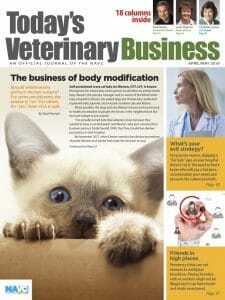 Ask your insurance agent or broker for veterinary-specific staff training modules. Reviews and assessments of employee injuries that occurred since the last meeting. Focus on lessons learned and on updating policies or procedures to prevent reoccurrence. Engage employees in an environment where ideas and recommendations are encouraged and valued. Conduct monthly walk-through inspections of each area of the hospital, preferably by a different staff member working in that area. All action items should be addressed as soon as possible. Invite your carrier’s loss-control experts to conduct an inspection. Caution: Any serious deficiencies likely will have to be corrected in a timely manner. If they are not, your premium could rise or your policy might not be renewed. An important component of your insurance program should be to regularly conduct claims reviews with your agent. Discussions should focus not only on the status of open claims but also on strategies for lowering risks. A true independent contractor is not an employee of your practice because a master-servant relationship is absent. As such, an independent contractor’s compensation is not included when determining your business’s workers’ compensation insurance premium. Nor are independent contractors eligible for benefits through your policy. A number of legally defined, fact-based tests are used to determine whether someone is an independent contractor for workers’ compensation purposes. Ask your attorney or accountant for guidance. Any business using an independent contractor should have a contract detailing the arrangement. Independent contractors should have their own insurance, and it should include indemnity language on your behalf. Again, check with your attorney. 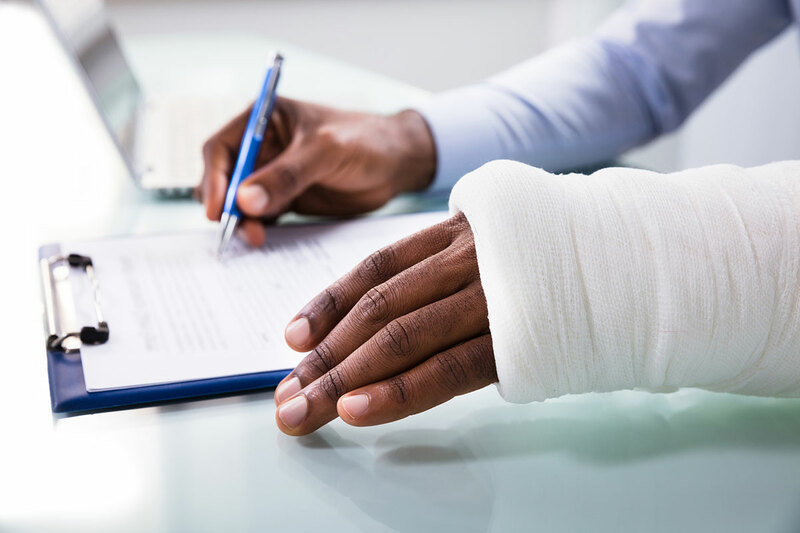 Finally, understand that if an employer is sued for negligence due to a work-related injury or illness, employer’s liability insurance is the second part of most workers’ compensation policies. It is designed to pay for legal fees, court costs, judgments and settlements.